When I was a kid, we would spend hours upon hours building our own army bases deep in the woods. Little did we know, there are some still out there. Waiting to be found. Though they have been long abandoned, there is still a strong presence to be felt. There are concrete staircases leading to nowhere, old guard shacks slowly being crushed by the weight of time, and miles of underground tunnels hidden from the world of above. These are the former Nike Missile Bases of Connecticut. In the early days of the Cold War, they were built as an aerial defense system for the United States. 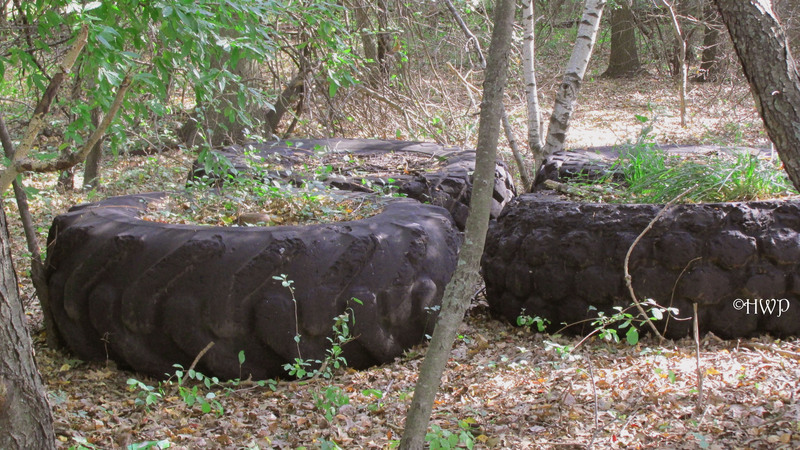 But as time crept on and technology developed, these missile bases were left behind, fair game for nature to reclaim. There were at one time hundreds of Nike Missile sites all over the country. Some bases were even established in Europe. There were at least twelve known in the state of Connecticut. Most of these sites were coastal or along the Connecticut River. Others were in place as a defense for the city of Hartford. First established in 1945 as a project for the Army, the Nike Missile sites were created as a new form of defense against aerial attacks on the United States homeland. By the mid-1950’s, there were sites in almost every state in the union. But also around this time, technology began to develop. The Army was moving forward with more advanced forms of missile defense, and Nike slowly became obsolete. It wasn’t long until the project came to end. With most sites being a part of active military bases, their shutdown was not a big deal. Some shutdown sites were demolished. Others were donated. But a few were simply left to rot. We visited one such site. Most of the bases in Connecticut have been demolished completely, refurnished for new purposes, or used as recreation areas. But there is one that still stands. Hidden away deep in the Meshomasic State Forest, this site featured two compounds: B and C. They are both within a mile or so of each other. Where to find these sites can be found online with a little digging. We strongly advise you use Google Maps if you ever plan on visiting this site. It is not an easy trip in at all. As soon as you cross over into the Meshomasic State Forest, the road becomes very treacherous. It is all unpaved, rocky, dirt roads going forward. Do not take a car that is low to the ground, or any vehicle that you don’t mind getting a little dirty. If you’ve got a truck or an SUV, take it. Aside from the poor road conditions, the state forest is a true sight to see. 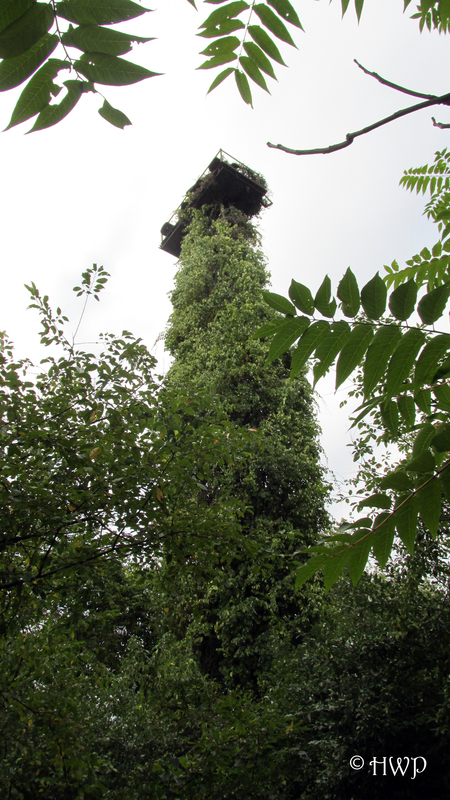 Since it is rather difficult to get to, it is not heavily frequented by hikers or bikers. We found relative solitude for most of our trip in. There is no exact street address for either missile site. But we used Google Maps to chart a relative location for both of them so we knew exactly what to look for. We arrived at Site C first. It is the easier of the two to find, mainly because most of what remains of the site is above ground. It is marked by an old guard gate, with a slowly decaying road leading upward. This proved to be a nice place to park our car. 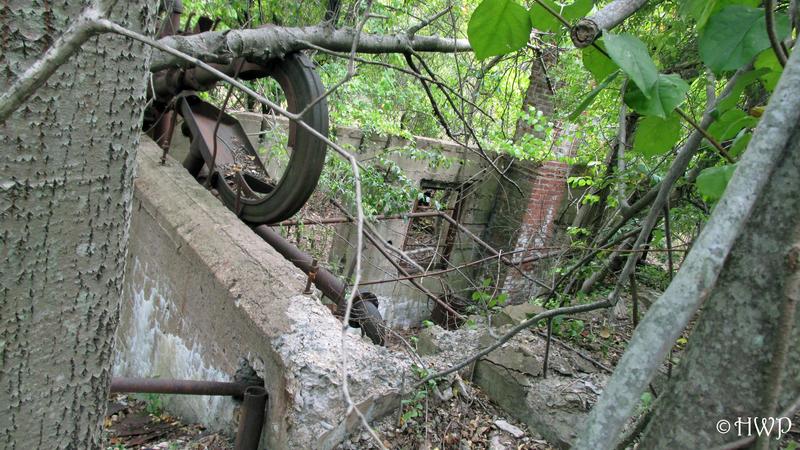 After a short walk up the old road, we found what remains of the base. 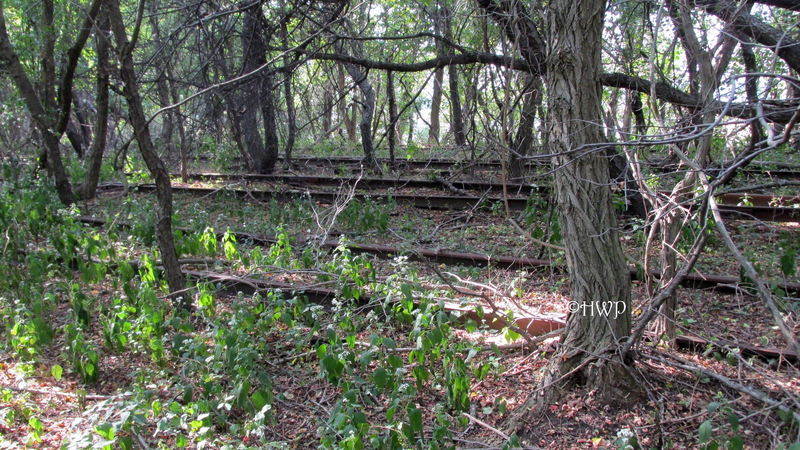 It was marked by a concrete staircase to nowhere, leading onwards. We walked up the staircase and continued down the path. Several odd looking buildings still remain, though a few of them are full of beer cans and trash. Also, always watch where you step. There are partially filled in manholes all over the site. Only once were we able to find one that you can climb down, but it did not go far. It was also full of snakes. There are also multiple collapsed buildings on this site. Whether they were torn down by man or by nature remains to be seen. Site D was our second visit. It is a good stretch further down the labyrinth of dirt roads, marked by a similar entry way as Site C. This site has a paved road leading into it. The road is in surprisingly good shape, though it is covered in graffiti and old fire pits. Both sites have a lot of evidence for partying, which was discouraging. A short walk down the road, we found several former foundations of buildings. We also found an old trail of old power lines which lead further into the base. Following this trail, we found multiple mounds of wood chips. This usually indicates something was there, but has now been destroyed. Continuing down the road, we came across a big empty field. Though it may not look like much, it was what dwells beneath your feet that makes this site special. Much like Site C, there are many filled in manholes all across the base. There are also several just plain cement lots. But do not be deceived. Beneath the cement, lie the underground bunkers of the Nike Missile Site. There are very few ways down into the tunnels. But we found one. By gaining access through an old ventilation hatch, we were able to get into the underground tunnels. We do not condone or recommend this. It may not be illegal, but the tunnels are extremely dangerous. They are heavily flooded in some parts. The air is not very good. And it is completely dark down there. Do not even think about going down without all of the proper safety equipment. Getting in involves a lot of crawling on your belly, covering your face, and hoping to God the batteries of your flashlight hold out. Once a thriving part of the United States military, the Nike Missile sites are now nothing more than the ghosts of the Cold War. Though many of the former sites have been destroyed or are on private property, this site strangely is neither. It was simply left behind. Of all the places we have explored, few have shown just how fast and furiously nature can reclaim the land. The sites lay in ruin. But if you look closely, you can still see the shadows of what this place once was before the final bugle sounded.